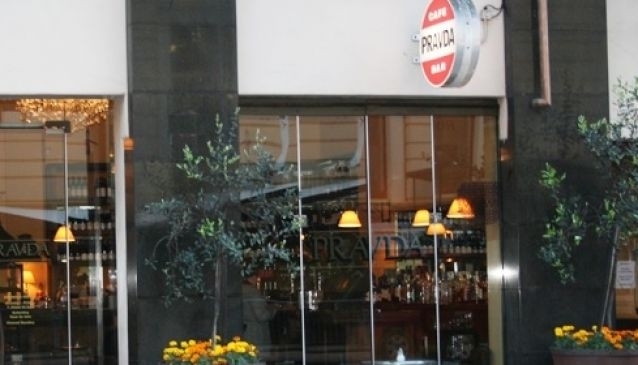 Pravda in central Wellington in the Lambton Quay precinct is the perfect spot for a coffee amongst the hustle and bustle of the city. The café and bistro is housed in an elegant building and evokes the feeling of an Italian café with dark wood panelling, marble top tables, and a bust of Lenin on the bar. Despite its central location, the venue offers a calm and relaxing environment for lunch or dinner. The menu also has an Italian slant with dishes including ravioli, bruschetta, and osobucco. The wine list features mainly New Zealand wines and the bistro also has a wide selection of whisky.